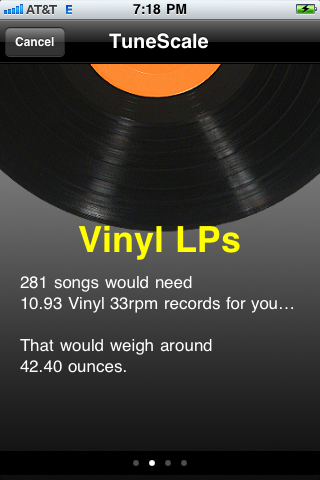 Inspired by a random discussion on the size of parent's and grandparent's music collections. 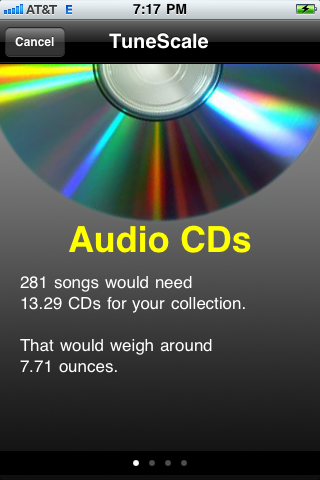 Now you can see how big your iPods music library would be on clasic media like CDs, cassettes or vinyl records. 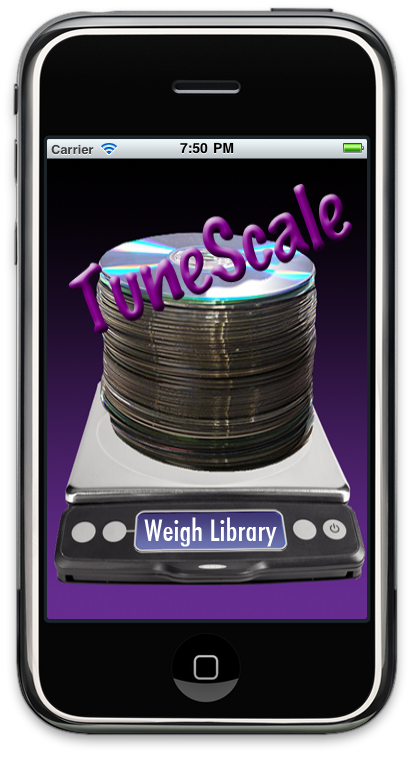 Just press the "Weigh Library" button on the main screen. 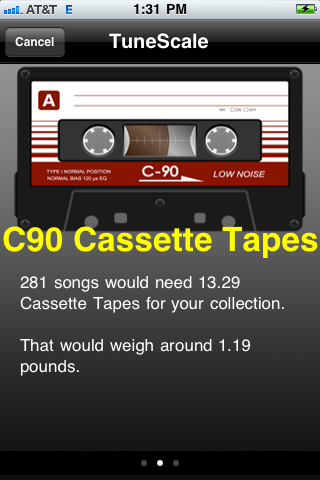 After a few seconds of counting the songs in your library, (excludes podcasts and audiobooks) flip through the screens to se how your library equates to the other formats.